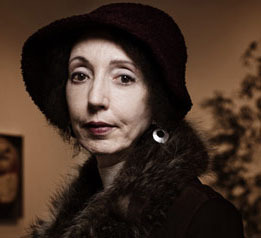 There is something special about the character of Lena Gaunt that I strongly connected to. On the surface she and I have nothing in common. She’s a ninety year old musician living in a small cottage in a suburb of Perth, Australia. Her specialty is playing the theremin or the aetherphone which is a special electronic instrument controlled without physical contact. Even at her elderly age she still performs in concerts and then retires to her quarters to smoke opium. She’s an eccentric character who narrates the story of her colourful life from early days in Singapore to her affair with a famous artist to the peaks and troughs of her musical fame. What’s so entrancing and sympathetic about Lena is her intensely felt dialogue with herself: “I could connect – but with myself, in a closed circuit.” There is an element of unashamedly clear independence about her life which is beautifully admirable. She is defined more by her relationship to the creative process than to other people. This makes Lena an inspiration and a joy to read about. As the title suggests, this book is also about the people Lena loves. It’s difficult for her to connect with others mainly because she’s more interested in her music. Her childhood is spent mostly in solitude. She feels little connection to her parents, but strikes a stronger bond with her Uncle Valentine who inspires her interest in music. It’s fantastic to read about a character who creates her own family units rather than remaining confined into the one she was born into. She’s drawn more to outsiders than those who tread a safe and conservative path. So there is her uncle who takes her to an opium den, a painter named Trix who takes her to a queer bar called The Buzz Room, a large Russian cellist who recognizes her musical talent and a woman living by the ocean who provides steady company. Her companions are few, but carefully chosen. There is a great love of her life who she forges a strong romantic connection to: “every night, as we held each other, curved into one another, we cared not what the world thought of us. We were entire, within ourselves. Perfect.” Their relationship is sincerely felt and very touching. Although these relationships are extremely intimate, she has a closer and more long-lasting relationship to her music and, by extension, to the elements of the world around her. For her, the rumblings of life are interpreted as a kind of music to her ears so that the sound of the sea roar is “basso profondo” and the engines of a ship beat “lentissimo.” In a more low-key sense, this sort of “music of the environment” reminds me so strongly of the Anna Smaill’s inventive novel “The Chimes.” However, this is a novel driven more by voice and its Lena’s personality that steers it. Inspired to reflect on her past by an ardent documentary film maker who persistently calls on her, Lena recounts the story of her life moving back and forth in time. For her “Time is all over the place, like a madwoman’s breakfast.” Like all great storytellers, all I wanted to do was pull up a chair and ardently listen for as long as she wanted to talk. This is Tracy Farr’s debut novel and it’s impressive that she’s created such an assured and compellingly voiced narrator who feels fully realized. “The Life and Loves of Lena Gaunt” is an absolute pleasure to read.